Ballater highland games vice chairman Scott Fraser is appealing for archive materials from the games. The Ballater Highland Games committee wants to hear from anyone “far and wide” who may have archive materials stored in their homes. The games were first held in 1864, on the church green in the middle of the village. They moved to Monaltrie Park in 1889 and have been held there ever since. Scott Fraser is the vice chairman for the games and is appealing for anyone across the globe who may have interesting artefacts to get in touch. He said: “Our archive is really quite small considering how long the games have been in existence. “One of our most interesting photographs is from 1889 – there were two games held only days apart – the first on Wednesday with the second on the Friday. “Both were very successful events but the second perhaps outshone the first due to the guests which included Sir James MacKenzie of Glenmuick and Naser Al-Din Shah – The Shah of Persia – together with Prince Albert Victor and Prince Edward of Sax from Weimar. Mr Fraser added: “Ballater Games are very lucky to have all of their Minute Books dating from 1864 through to 1998 when the game became a limited company. “We have a games day programme from 1932 and a couple from the 1950’s and some from the late 1980’s through to the present day – but we are struggling to find much else. The archive materials will be documented and some stored at the Braemar’s Duke of Rothesay Highland Games Pavilion – forming part of the Kindred Gatherings display. Anyone with any medals, photographs, programmes or other games-related items are being urged to donate them – or good photocopies – to Mr Fraser. 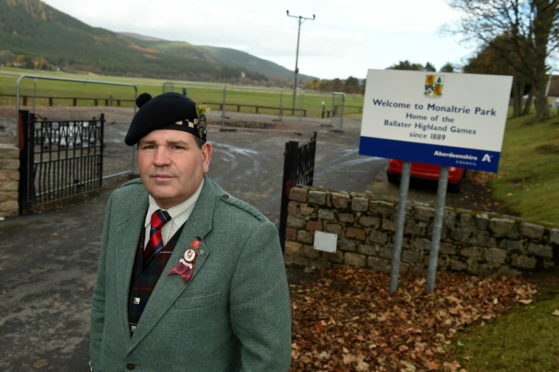 He can be contacted by emailing info@ballaterhighlandgames.com.